Melbourne-based fund manager ­Quintessential Equity will develop the new $120 million headquarters for WorkSafe in Geelong, as the state government drives investment in Victoria’s second largest city. 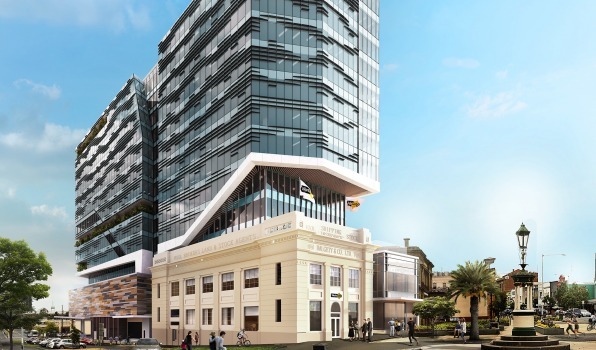 Quintessential Equity Director, Shane Quinn, said the development would be an “office building of the future” that met all WorkSafe’s core business needs. “It will be a legacy project which will form the centrepiece of the next phase of growth and development in Geelong,” Mr Quinn said. Quintessential Equity has a $250 million pipeline of work for Geelong over the next two years. The fund manager’s portfolio includes assets in Sydney, Melbourne, Adelaide, Perth and Canberra. It has also developed other projects including a Parramatta commercial building which won a sustainability award.